Here we have Slickspot Peppergrass in a slick spot. Here's a close up look at a "slick spot." 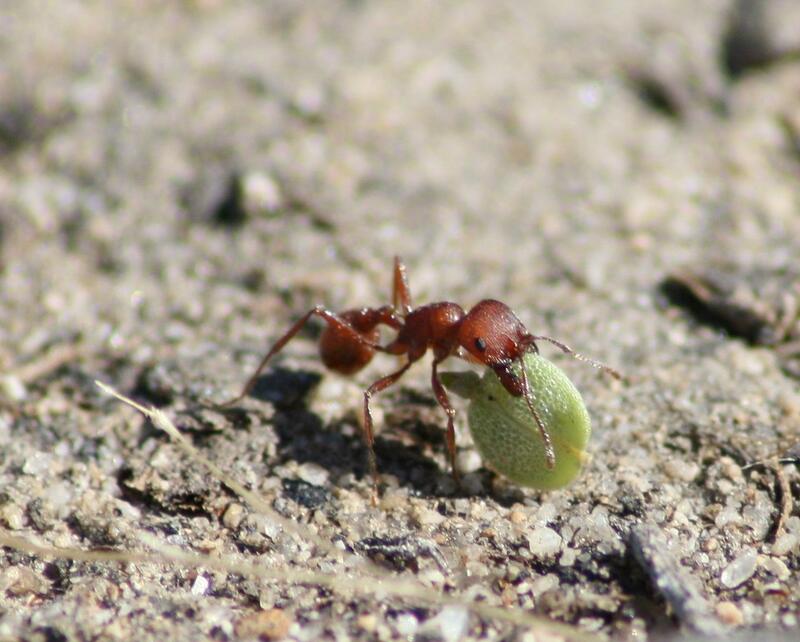 Here are some pesky Owyhee Harvester Ants eating some mustard plant seeds. They love Slickspot Peppergrass seeds and prefer them to other food. 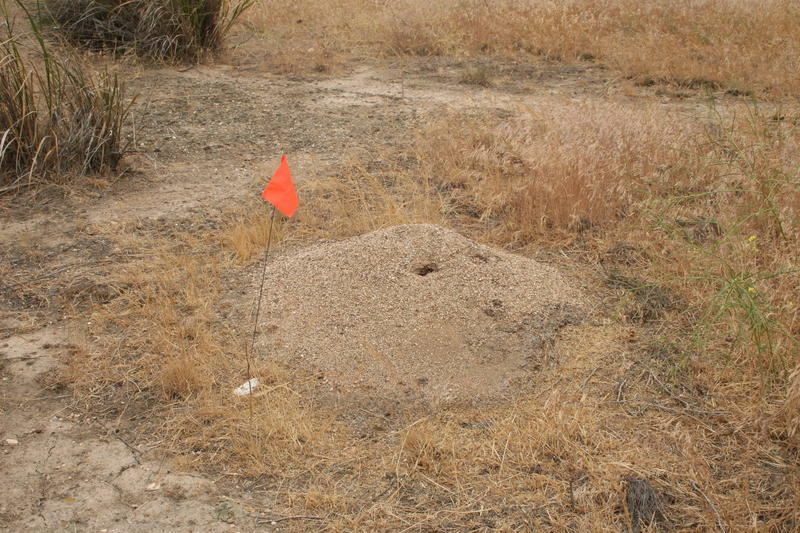 Here we have an Owyhee Harvester Ant colony. 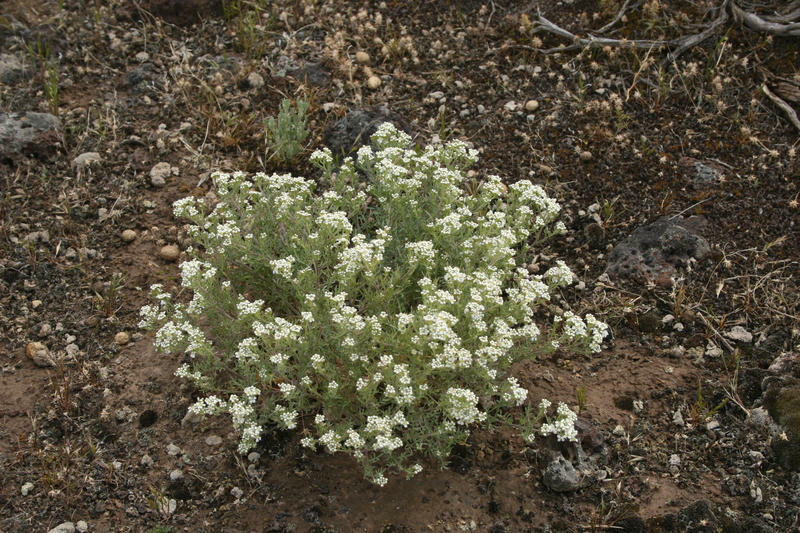 A small, flowering plant that grows only in southwest Idaho is about to go back on the Endangered Species List. Slickspot Peppergrass has been there before, in 2009, but its status as “threatened” was challenged by Governor Butch Otter. After years of legal wrangling, the U.S. Fish and Wildlife Service plans to put it back on the list next month. 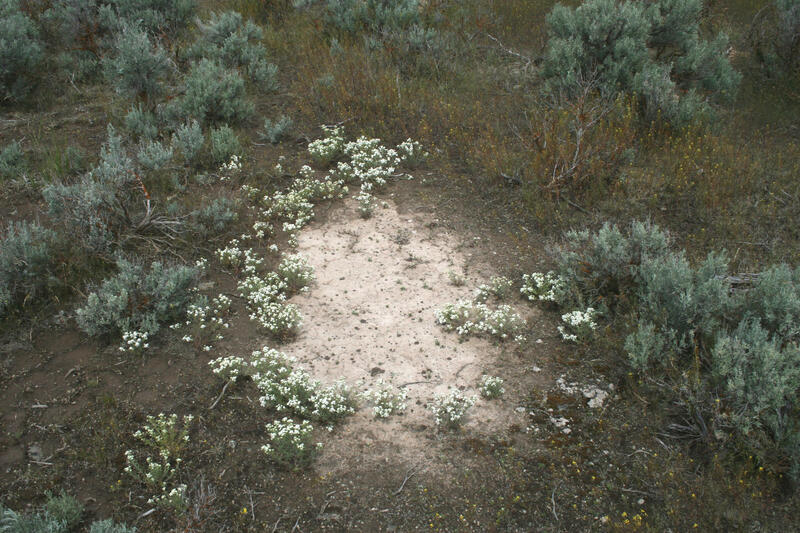 Slickspot Peppergrass is a hairy green plant with white flowers, and is found in just a few areas of southwest Idaho. Ian Robertson has a unique perspective on the plant. 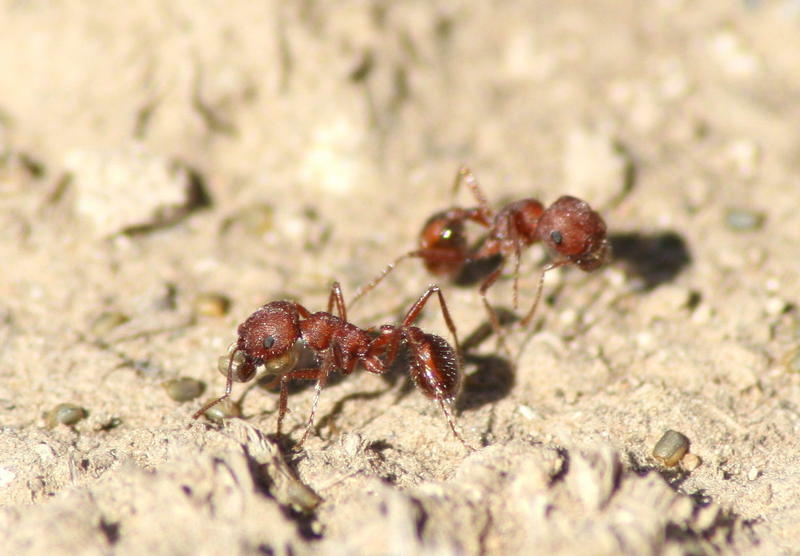 The Boise State biology professor has for nearly a decade been studying how Owyhee Harvester Ants affect Slickspot Peppergrass. 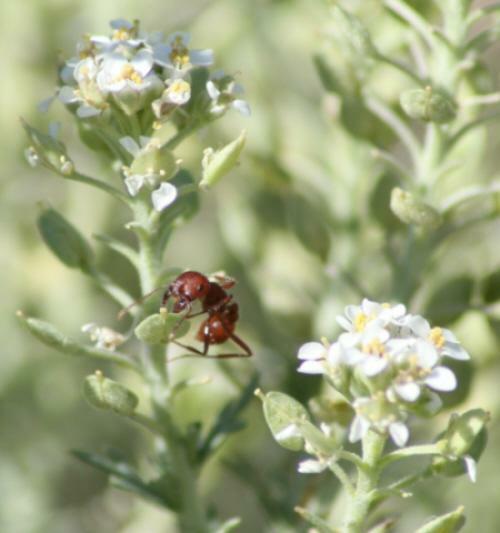 Owyhee Harvester Ants love the seeds of Slickspot Peppergrass. Robertson says the ants eat other things too, but to them, the peppergrass seeds are like chocolate is to humans. Seed predation is just one factor, along with wildfire, climate change and habitat loss, that’s affecting the plant. “So all of these things combined make for a challenging life for these plants. If the habitat was much closer to its natural state, many of these concerns probably wouldn’t be there,” says Robertson. 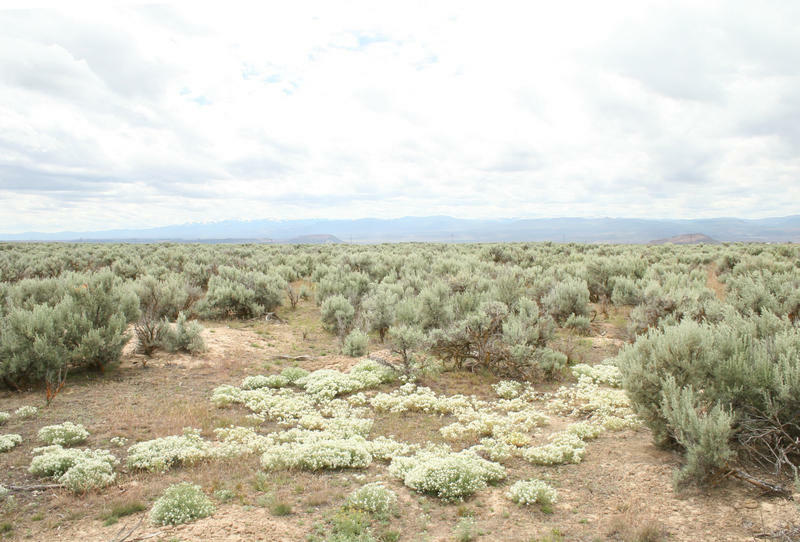 Robertson is studying how Slickspot Peppergrass plants do when the Owyhee Harvester Ants are taken away. And he’s trying to plant seeds in new areas, to see if Slickspot Peppergrass can expand its range. U.S. Fish and Wildlife plans to put the plant back on the “threatened” list on September 16. A small flowering plant known as Slickspot Peppergrass won't be listed as a "threatened species" any more under the Endangered Species Act. A U.S. District Court ruled today in favor of the state of Idaho and Governor Butch Otter to remove the plant's designation. There's been a decade long legal battle over whether Slickspot Peppergrass warranted such protection.